Dr. Olman E Piedra, the assistant professor of Percussion and Jazz studies at The University of Toledo, received his Doctor of Musical Arts degree in December from Bowling Green State University. Previously, he received two Master’s in Music degrees, in Percussion Performance and in Improvisation from the University of Michigan, and a BM from Baylor University. 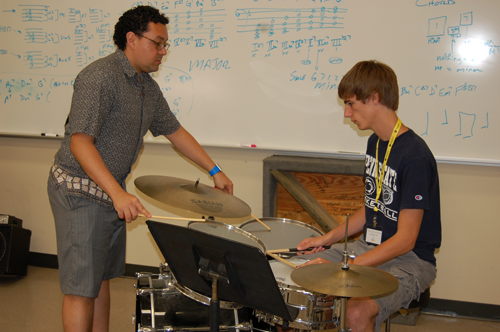 Dr. Piedra is an educational artist/clinician for Remo drumheads and Innovative Percussion. As an active and versatile jazz, contemporary, Latin American, and concert musician, Dr. Piedra can be heard on William Bolcom’s Grammy award winning album “Songs Of Innocence And Of Experience” with Leonard Slatkin, conductor, on His Name Is Alive’s “Detrola”, and “Sweet Earth Flower, a tribute to Marion Brown”, NOMO’s “New Tones”, “The Dreamer” by jazz guitarist/composer Paul Cohn, “Reaching for the Moon” with Morgen Stiegler, “Gran Danzón” with Martha Councell-Vargas, and with the University of Toledo Jazz faculty ensemble CrossCurrents on their debut album on Summit Records. Dr. Piedra left Costa Rica in 1998 to further his music studies and pursue a musical career in the United States. He has performed with a variety of ensembles, including the Sphinx Orchestra (principal percussion), the National Symphony Orchestra of Costa Rica, the Waco Symphony Orchestra, the American Wind Symphony Orchestra, the Toledo Jazz Orchestra, the Ensamble de Percusión Costa Rica, the Toledo Symphony Percussion Trio, Italian pop artist Patrizio Buanne, NOMO (toured around the United States, Canada, and Europe), Roland Vazquez’ Latin Jazz Combo (Percussive Arts Society International Convention), vocalist Lauren Kinhan (from The New York Voices), Ken Thomson and Slow/fast, David Bixler’s I-75 ensemble, and the University of Toledo jazz faculty group at the third annual JEN convention in Louisville, KY. Olman has also been performing alongside Grammy Award winning artists The New York Voices at Bowling Green State University’s vocal jazz camp since 2009. The University of Toledo College of Communication and the Arts is collaborating with the Toledo Symphony on a number of events connected with celebrating Mozart, January through February. For two years, The University of Toledo and the TSO have been proud to collaborate on an arts and humanities festival. Centered on themes inspired by Symphony programs, these lectures, movie screenings and performances have covered diverse topics from the pain of the Civil War to modern day film culture. This year’s festival celebrates the genius of Mozart, the fascinating time period of the 18th century and the ways it continues to intrigue us today. The series culminates on February 7 & 8 when the Symphony performs the original Peter Shaffer play, “Amadeus,” accompanied by music from the film—all performed live. 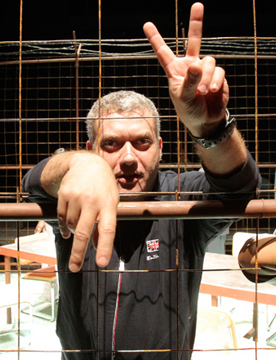 Cornel Gabara, associate professor of theatre and head of acting at UT, will direct the theatrical production. Gabara has also directed two previous productions with the TSO, including “Every Good Boy Deserves Favour,” which was taken to Carnegie Hall.The following week, the UT Symphony Orchestra and Choirs perform an All Mozart Concert in the University’s newly-renovated Doermann Theatre. Light refreshments will be provided at all Libbey Hall lectures, and we encourage a robust Q&A following each talk. Tuesday, January 7 at 7 p.m.
Tuesday, January 14 at 7 p.m.
Tuesday, January 21 at 7 p.m.
Tuesday, January 28 at 7 p.m.
$22-$55 | The Toledo Symphony performs music from the film, while actors perform the original Peter Shaffer play—a dazzling, multi-sensory experience! 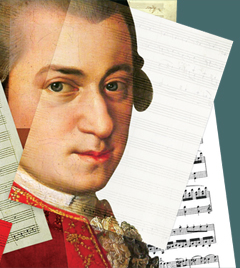 Selections from Mozart’s “Requiem,” operas, piano concertos and much more. The Arts Mean Business – Lots of Business – in Ohio!